I’ve finally found some spare time to sit down and write a blog post about the incredible week I’ve just had, but don’t get too excited yet! I’m still waiting on some of the photos to come back before I provide what I’m sure will be a novel-length account of my absolutely magical book launch from a few nights ago. (Patience is a virtue! And don’t worry – the wait will be well worth it!) In the meantime, sooooo much stuff happened in the pre- and post-book launch days, so that’s what I’ll talk about here! First up, since I’ve already spammed a heap about it, you probably know that my debut YA fantasy novel, AKARNAE, was released officially a week ago. It should now be a paperback in all good Australian bookstores, and it’s also available online as an e-book (and also to purchase as a physical book if you want to go the online option for that, too). You can find out some of the places where you can get your hands on a copy by clicking on my Purchasing and Pre-Orders page. 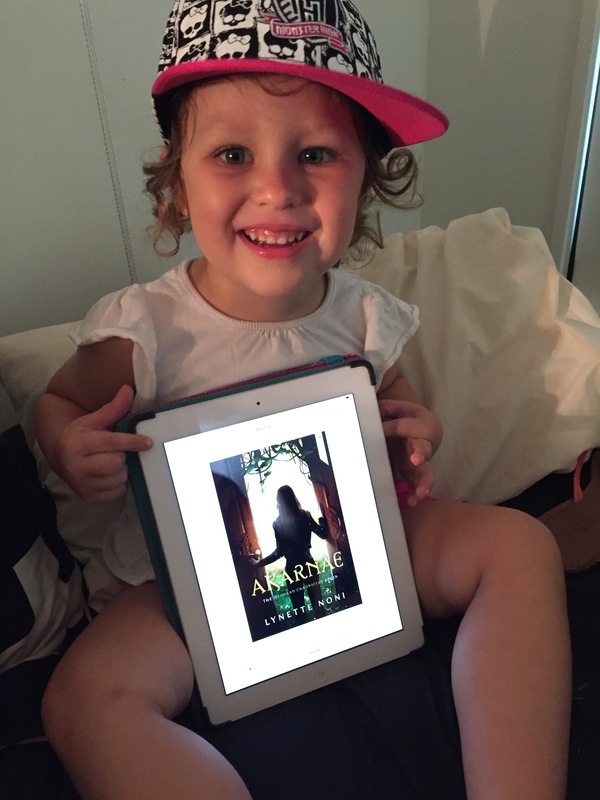 Just for some added cuteness, here’s a pic of my friend’s daughter with a brand new copy of AKARNAE on her iPad. Apparently age is just a number when it comes to reading a (hopefully) good story! The release day itself was so cool for me, mostly because it officially gave me the title of ‘published author’ – and that was very exciting! But as exciting as it all was, I was also so busy that I think it’s only now beginning to hit me that I actually have a book out there now – and people are reading it! (Eeeek!) But that busy-ness was really good for me in the lead-up to the launch, since it helped keep me sane and not panic too much about the big day. 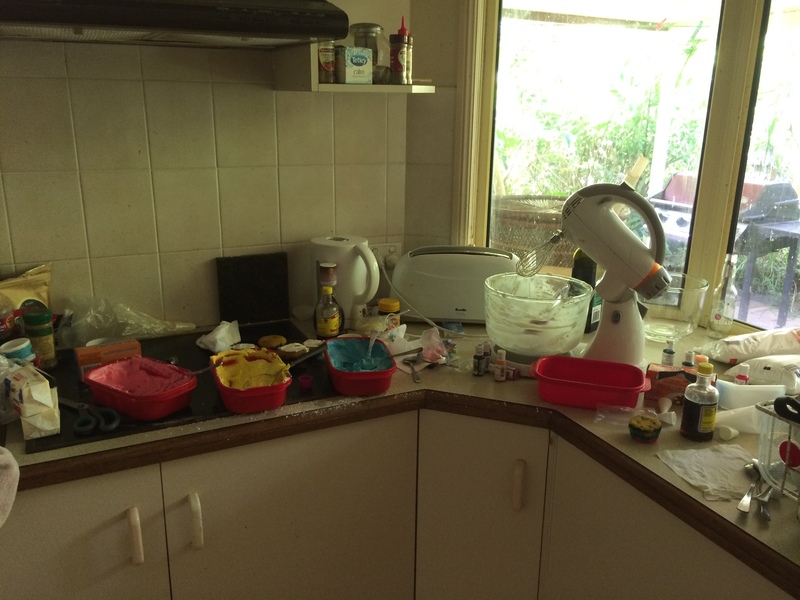 That said, I may have done a lot of nervous cleaning and stress baking over the last week. 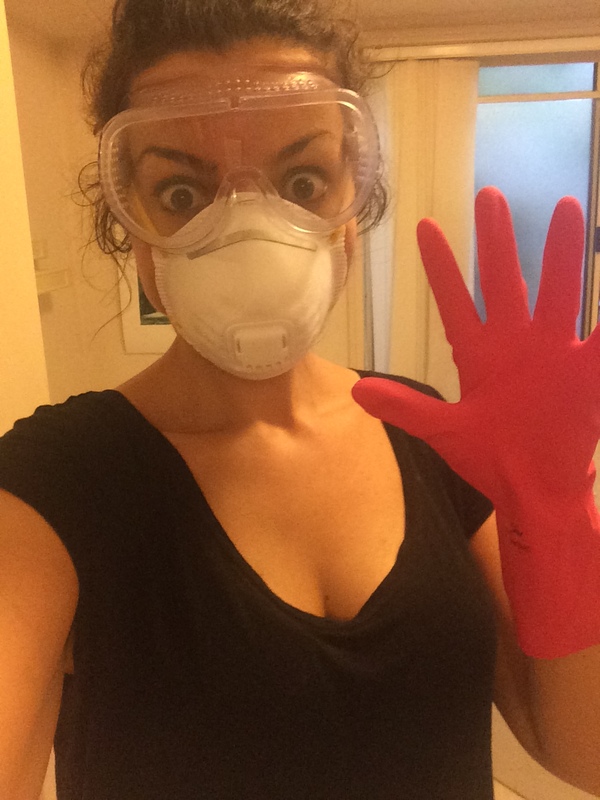 Exhibit A – nervous cleaning: Exhibit B – stress baking (but this was for some really yummy things we gave out at the launch, which you’ll see when I do the proper write-up): The book launch itself was on Thursday night, but on Wednesday I had two (!!) newspaper interviews – one for the local paper (The Buderim Chronicle) which will come out next week, and one for The Courier Mail (which is so totally awesome!). The interviews were a lot of fun, except for when I somehow had a massive space cadet moment by spelling my name wrong to the Chronicle journalist. I felt so stupid! I was spelling it out phonetically and I got to my surname and was like, “N for Nelly, O for orange, N for Nelly again, and E for egg. NO! Wait! Not E for egg – I for igloo!” *Face palm*… What an idiot. Fortunately, the only hiccup I had with The Courier Mail was when that journalist blindsided me by commenting on how she’d read that I love Disney, and she lulled me into a false sense of security with follow-up Disney-related questions, before BAM! Out of nowhere she asked something like, “So that must mean you like happily ever afters, right? Does that mean your book has a happily ever after?” I think I paused for a good fifteen seconds of awkward silence while wondering if I was allowed to answer that question, haha. In then end I’m pretty sure I said something non-committal about how it’s a five-book series and she’d just have to read it to find out the answer to that question. Happy ending, no happy ending – I didn’t want to give away any spoilers to one of the biggest newspapers in Australia! Yikes! 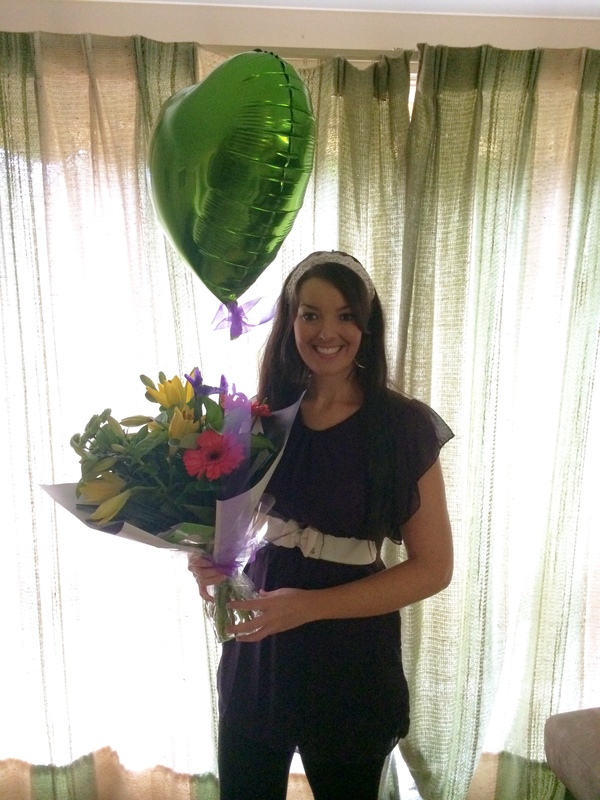 When I got home from the photo shoot there was a beautiful bouquet of flowers (with a helium balloon!!) waiting for me from my bestie with a “Happy Book Launch Day!” card which was just lovely: And then the launch was that night (but I’m skipping that awesomeness for the moment since I’ll write up alllllll about that when the pics come in). The next morning (Friday morning) I was contacted by the local television news station (WIN News) for a TV interview which was soooo beyond cool that I have no words for how cool it was! And it aired that night as well, which was aaaaaamazing! Especially because in the live-to-air intro, the announcer said something along the lines of “The Sunshine Coast may be able to lay claim to the next J.K. Rowling...” Omigosh! I nearly passed out at hearing that! How AWESOME! So, yeah, in a nutshell, I have had an absolutely brilliant week! And I can’t WAIT to tell you all about the book launch, because it was seriously out-of-this-world amazing. 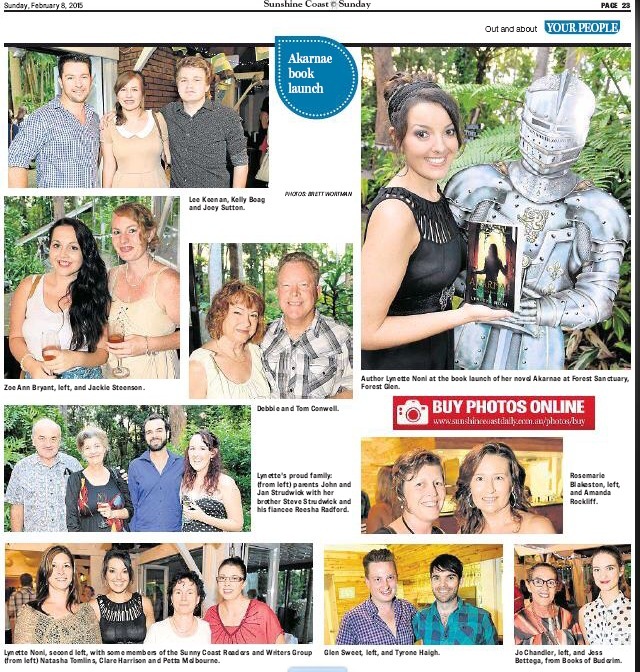 To give you a teensy-tiny tease, I’ll let you know that a newspaper social photographer was there for The Sunshine Coast Daily and also for The Buderim Chronicle and a few photos were printed in today’s Sunshine Coast Sunday paper: More photos and some seriously cool details of the night to come! And to end this exciting before-and-after-launch post, if you’re even a little bit curious about how receptive readers are being to AKARNAE so far, a book blogger sent me this amazing review that she wrote up today about my book – and oh, wow, the feels! “I adored every single thing about this book… every single moment I could be reading, I was! !” You can check out the full review by clicking here.